This book started life as Jane’s attempt to explain Viktor Schauberger’s ideas to herself. He clearly had a system of thought behind his ideas, but never put it together systematically. He was also a deeply intuitive man, and a marvellous storyteller. Some of his stories from the forests and mountains, about the life he saw there are quite breathtaking. 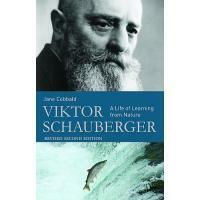 The book is an attempt to explain Viktor Schauberger’s insights in his own words, without external analysis or reference. As he was a self-taught man who had severe misgivings about the benefits of academic training, we hope he would not have objected to this approach. Each chapter looks at one aspect of his system in detail, and illustrates it with stories from his own life and direct quotations from his writings. The book also contains original drawings by Viktor Schauberger. 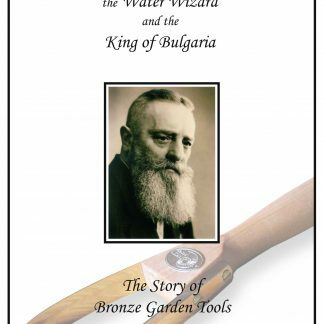 We include a free copy of ‘The Story of Bronze Garden Tools‘ with each book purchased. If you would like your copy signed by the author, please let us know in the ‘Special Instructions’ box of the order form.